Part of our Midnight Collection - Made from full through Midnight purple tanned cow hide leather, which has a smooth gloss finish, and a slightly pliable but sturdy feel. The Midnight Purple range is lined with super soft high grade black suede. 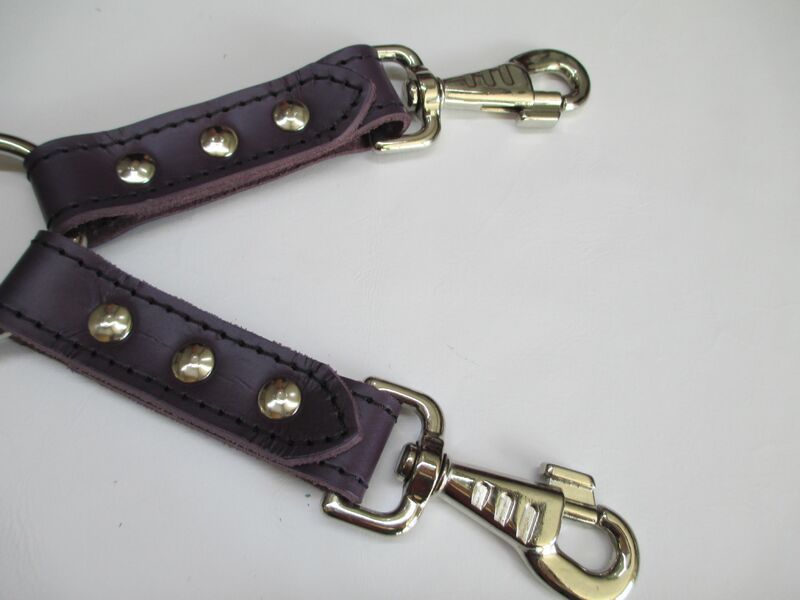 Midnight Purple Leather Four Point Hogtie - With four x one inch wide triple leather layered, triple riveted and stitched with black high breaking strength thread straps. Center ring is two inches diameter 3mm thick welded, and the strap ends feature our high quality heavy duty swivel trigger release hooks. This is a great four point hogtie to use for long play sessions, the four points of the hogtie can be fixed to restraints (your own) in numerous ways as a 2, 3 or 4 hog to wrist, ankle, thighs and/or collars, and what's more it's small enough to fit in a pocket if needed. 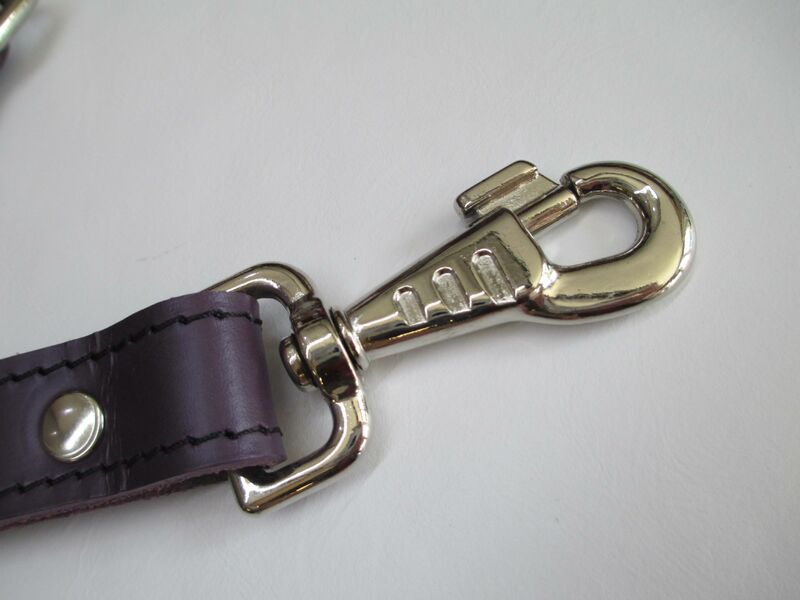 We have some complimenting stock of restraint cuffs, collars, and much more available in this English Bridle leather, please ask us about them or browse our store. We also have a very popular and discreet Bespoke service available for the more discerning customers who'd like something a little different from what we currently list, please message us about your ideas and see them come to life!